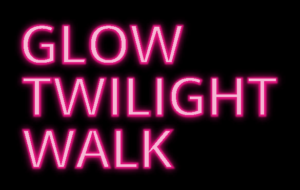 ‘The Glow Twilight Walk is an exciting event that all members of the family can take part in. 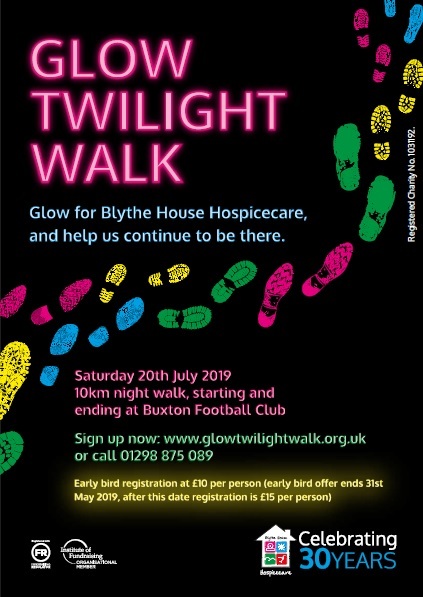 It is vital that local people support this event. Ann was looking forward to a fresh start with her husband, Ian when she moved to the High Peak from Stockport in February 2018. As they struggled to relocate furniture and belongings during the relentless Beast from the East, Ann became unwell with a sore throat, aches and pains, and she discovered she had shingles. 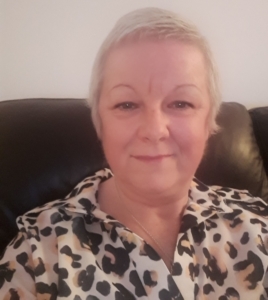 After some time off work whilst moving house and being unwell, Ann went for a regular mammogram check-up at Macclesfield District General Hospital and within two weeks she found out that she had a 4.5cm tumour in her breast. 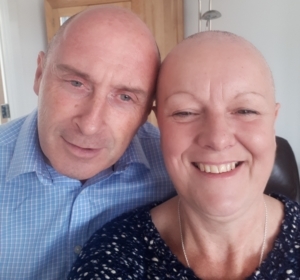 Ann had a mastectomy in May 2018, and though the operation went well, she then had to undergo nine weeks of chemotherapy to kill off small traces of the cancerous cells still in her lymph glands. The Chapel-en-le-Frith resident explains: ‘My best friend Margaret moved to the new housing estate in Chapel and after a few visits to her and some discussions with my husband, we decided to make the move too so that we could be closer to the countryside. We were really looking forward to a fresh start and to enjoying our new life in the High Peak. My breast cancer diagnosis a few weeks after the move changed our lives. ‘After undergoing my operation and chemo, my boss and friend, Anne-Marie told me about Blythe House and encouraged me to find out more. I had the total wrong impression of the hospice and thought it was a little hospital where people came to die. I was incredibly nervous; I am not a confident person anyway, but especially being in a new area with only a few friends. ‘One day I was at home on my own as my husband was out at work and I decided to have a walk round to Blythe House. I was milling around outside too frightened to go in and one of the nurses, Liza, was walking in behind me and asked if she could help. She brought me through the doors and from that day on, it is the best thing I ever did. My husband could not believe I had the courage to walk round here in the first place! Ann is due to go back to work in pharmacy production at Stepping Hill Hospital in April, as she continues her recovery and her prognosis looks good.